MetaArcade could be the first step on your journey to getting a game on our list of the greatest RPGs ever made. Both Twitch and WordPress require a key skill – broadcasting and writing respectively – and of course MetaArcade requires some talent too; it demands you have the imagination and creativity to create an interactive adventure game. At its very core, MetaArcade is a game maker suite designed to let people with little-to-no experience create and self-publish RPG games. “Think about the MetaArcade platform as a content management system, like if you were running a website,” says Reid as he helps me visualise how his platform works. “There will be libraries of art and audio, and the layers of rules and mechanics,” he reveals. By piecing together these elements and writing your own narrative, you’ll be able to build a choose-your-own adventure game with a set of RPG dice-roll mechanics. Think of today’s popular visual novels with a Dungeons and Dragons-like combat system, and that’s the kind of results creators will be able to achieve. 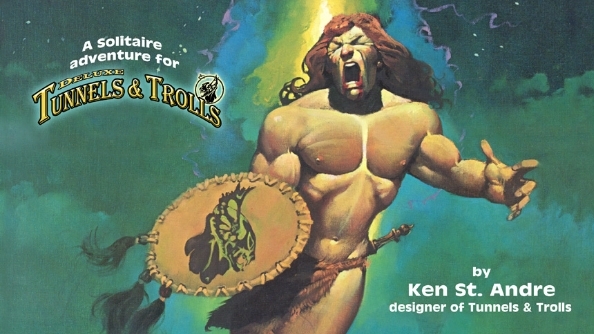 The first game that has been made with the platform is Tunnels and Trolls, a “digital remaster” of the classic 1970s pen-and-paper RPG. While the Tunnels and Trolls license is important in that it’s the basis for the very first release from the platform, things go far deeper: the game’s setting and ruleset forms the basis for for what creators can build in MetaArcade. Tunnels and Trolls being tailored for solitaire play (singleplayer) makes it ideal for a videogame platform. From a player’s perspective, you travel from page to page of the story, making decisions that see the narrative branch, and then engage in streamlined RPG mechanics. 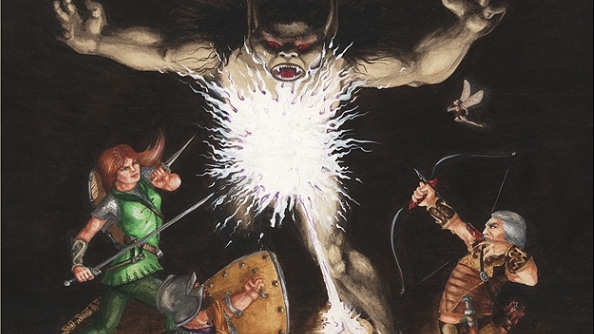 “You roll dice in combat and saving rolls when there are hazards, and if you’re good enough to survive the adventure your character progresses, you get your treasure and experience, and level up,” explains Reid. 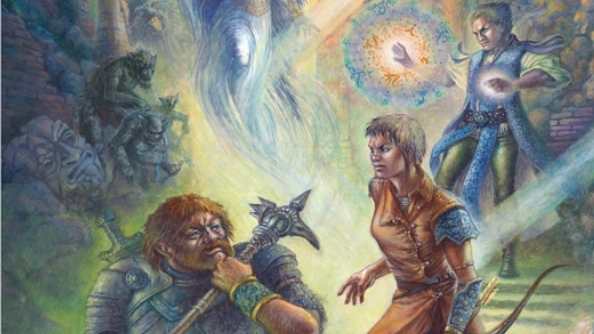 For a first-time creator, it’s an easier concept to develop than a Dungeons & Dragons adventure with its overly complex combat rolls, numerous players and a Dungeon Master. While the Tunnels and Trolls setting will be the only one available when MetaArcade first launches in prototype form this summer, that won’t force a fantasy restraint on the most imaginative users. Reid assures me that if a user wants to use the rules of Tunnels and Trolls but apply them to a sci-fi world, then that’s “absolutely” possible. I’m instantly reminded of how Knights of the Old Republic used Dungeons & Dragons rules in the Star Wars universe. 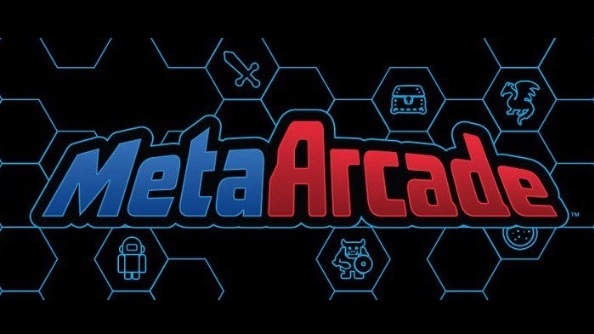 For creators with a strong idea for a new fictional universe, the idea of MetaArcade seems a great starting platform to get ideas out there in the wild. Should you be successful, you can always create your own rule systems should you wish you go solo. While much of the business model is yet to be settled on, Reid is confident one one thing: “We’re not charging you for using the platform.” He does have an idea for how he’d like monetisation to work, and cites Steam Workshop as his influence. “Part of why [Steam Workshop] works is you’re looking at creators who want to own their IP and are looking for ways to get it out to an audience, but they aren’t looking to make a big investment. They’re looking for a publisher of sorts, so [MetaArcade] is intended to be a self-publishing platform where you can do that without outlaying any of your own money,” he explains. “If your audience starts picking up on it and starts paying for it then that’s where you’ll generate revenue from it as a creator, and MetaArcade as a platform that’s enabling that will also generate some revenue.” Similar to Steam Workshop, Reid intends payment for adventures to be split between the creator and MetaAcrade. This summer will see the initial prototype launch of the platform, and players will be able to play the first Tunnels and Trolls adventure created in MetaArcade. From there, Reid intends to gather as much feedback from the community as possible, as he feels that they are the people who will ultimately shape it. “Now you have your hands on what we’ve done and you know what we’re thinking, what’s the right direction to go into? What are the adventures you are ready to write and keen to play? That’s how we’ll figure it out,” he says.